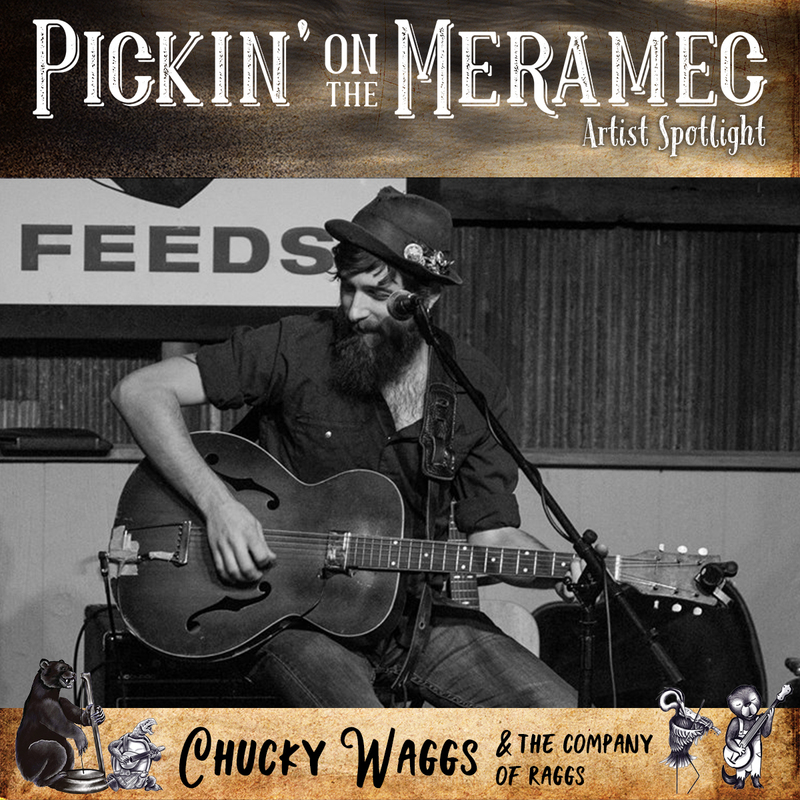 Chucky Waggs is a multi-instrumentalist, singer/ songwriter based out of the hills of Eureka Springs, AR. Chucky Waggs plays a mix of guitar, banjo, harmonica, kazoo, while using his feet to stomp out the back beat on a thrown together drum kit. He has released three full length, original studio albums. Writing, arranging and performing the instrumentation on each with help from his rotating live band “the Company of Raggs”. Drawing influences from early American roots music, as well as early punk and rock and roll, he’s often joined on stage by variations of the members of “the Company of Raggs” to add to the energy and dynamic of his original material. The result ranges from intimate, often humorous folk ballads with an emphasis on tongue-in-cheek songwriting to rowdy stomp-alongs with a unique lyrical voice and a DIY, rough around the edges approach to the tradition of Folk/Americana music.